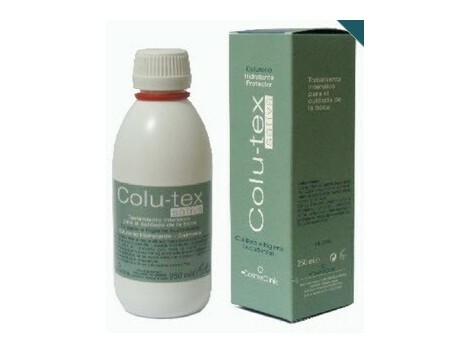 Cosmeclinik Sativa Colutex 250ml. Mouthwash-soothing moisturizer. Special care for Xerostomia or dry mouth. Appropriate for thrush or mouth ulcers. No parabens. Aroma without allergens. High tolerance formula. PRESENTATION: 250 ml bottle. INDICATIONS: Quick relief of the nuisance caused as a result of dry mouth or xerostomia (difficulty in chewing and swallowing) associated with aggressive therapies and certain medications. Helping in irritation and lesions of the oral cavity. Appropriate for thrush or mouth ulcers. PROPERTIES: The unique formula of Colu tex-rich moisturizers and soothing agents, lubricated and soft mouth tissue and lack of irritated salivation. Creates a protective film that helps to improve the state of dry mouth or xerostomia. DIRECTIONS FOR USE: Fill the cup up to the level 5ml and rinse the mouth with the undiluted product, for 1-2 minutes, trying to make the mouthwash comes in contact with the buccal surface. Do not swallow or rinse your mouth with water immediately after use. Can be used as many times as necessary, following the recommendations of the specialist. ACTIVE PRINCIPLES: Opuntia ficus indica: New active ingredient that works by increasing the rate of HSP synthesis, known as stress proteins, responsible for repairing cell damage caused by exposure to aggressive treatments. Alpha Bisabolol: important antiphlogistic and anti-inflammatory action. Hyaluronic Acid: Increases the hydration of the oral tissue. Croton lechleri: Known as "Sangre de Drago." The latex obtained from this species is known for its botanical healing properties. Betaine: Active with moisturizing and protective properties of the oral mucosa that acts against the irritation caused by mechanical or chemical agents. It is shown that its inclusion in oral hygiene products can alleviate the symptoms associated with dry mouth or xerostomia. AMIPORINE ®: Assets of natural origin (purified extract of grenada), which increases the natural flow of water by stimulating the skin aqueous channels (Aquaporins), improving the level of oral hydration of skin tissue. EXT. Camomila: soothing and anti-inflammatory action. EXT. Sideritis angustifolia (RABO DE GATO): Plant characteristic of eastern and southern Spain, with anti-inflammatory and healing of wounds and ulcerations. EXT. Calendula: soothing activity, healing and anti-inflammatory. Excipient: Aqueous solution. Its formula contains an aroma without allergens. Preservative, potassium sorbate and sodium benzoate. pH = 5.5 with the oral mucosa.